A woman is to face trial charged with causing the death of a pensioner who was struck by her car in front of a famous pub. 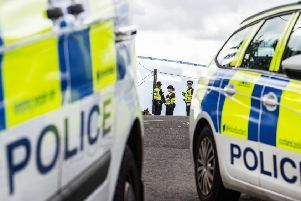 Jill Cowan (41) is accused of failing to notice Alan Morton as he crossed the road outside the 1314 Inn in Whins of Milton, Stirling, beside the Battle of Bannockburn Visitor Centre. Mr Morton, who was 69 and a regular at the pub, lived nearby. He died of his injuries in hospital a day after the collision at 11.40pm on December 16 last year. At Stirling Sheriff Court today, Cowan, of South Queensferry, pleaded not guilty to causing his death by careless driving. The single charge against her alleges that she drove her white Kia Picanto Vr7 without due care and attention, or without reasonable consideration for other persons using the road, in that she “failed to observe Alan Morton, a pedestrian then crossing the road”, causing her car to strike him whereby he was so severely injured that he died on December 17, 2015. Defence solicitor Karen Railton asked the court to postpone the trial, which had been due to take place later this month, because key witnesses were abroad. She said: “This is a matter that is being prepared in the Crown Office’s road fatality investigation unit in Glasgow. There are currently two witness statements outstanding and I have a defence expert instructed. Sheriff Linda Smith continued the case for summary trial on January 23, 2017. Mr Morton had no family of his own and had formerly lived with his brother Andrew, who died a few years earlier.